On May 18, Pierre Ryan found a pair of egrets in Fair Haven, Newfoundland, and reported the pair as Snowy Egrets, which are rare but annual in the province. 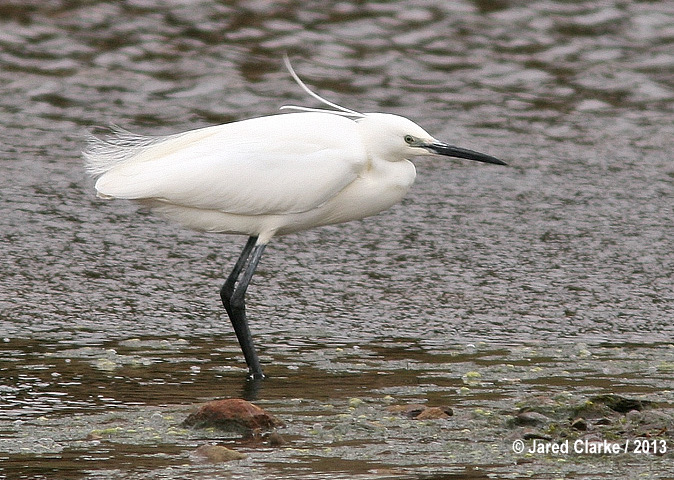 His photos and description of the birds’ plumes led to suspicion that one or both of these birds may be ABA Code 4 Little Egret, an identification that was subsequently confirmed for one of them. Locals have reported that the two egrets have been present since at least May 12, not always together and occasionally moving up a small river and out of sign for longer periods of time. This would be the 9th record of the species for Newfoundland. Fair Haven is about an hour and a half west of St. John’s, Newfoundland. From the Trans-Canada Highway turn west onto NL-203 S all the way to the bay. Although Little Egret is an ABA Code-4 bird, the European range of this species is expanding and some ornithologists predict that Little Egret in North America may begin to expand in a manner similar to what has been occurring in Europe.